Photographers and photojournalist are very important and an integral part of the print media. Nowadays with the advent of high quality and sophisticated cameras, we can click so many beautiful pictures. But in earlier days, there were no such cameras. Moreover, photography was not a wide field as of today. Only men used to choose it as a profession. However, today the scenario is very different. Women and men are equally interested and are into this field. In earlier days, women were not so educated and were confined to their homes and household chorus. But there was a woman who became first woman photojournalist of India. Who was she? Let us know about her in this article. 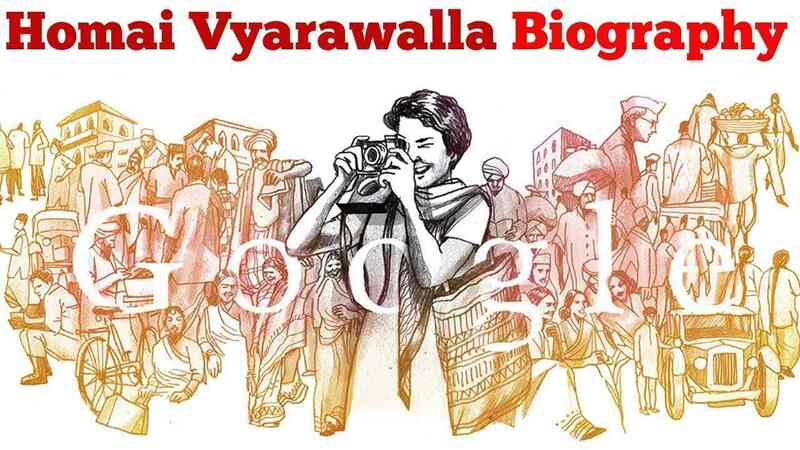 Born on 15th of December, Homai Vyarawalla was popularly known by Dalda 13, pseudonym. She holds the pride of India’s foremost female photojournalist. It was late 1930 when she started to work as a photojournalist. She was honored with Padma Vibhushan the year 2011. Padma Vibhushan is the second utmost civilian honor in India. After joining the Illustrated Weekly of India, she became the first women in India to connect a conventional publication. She got married to Manekshaw Jamshetji Vyarawalla, who was a photographer and also an accountant in the Times of India. She gave up photography in the year 1970, exactly one year subsequent to her husband’s demise. She didn’t feel like working in this field. As said above she started her career in the year 1930. She started to work in The Illustrated Weekly of India, the Mumbai-based magazine, during the commencement of World War II. The magazine published many of her snaps. Those snaps were black and white which published many of her most admired black-and-white images. Initially, she used to publish her photographs under the name of her husband, as she was unfamiliar and was a woman. During those times, women were not involved in such professions. Under the pseudonym “Dalda 13″, many of her pictures were made public. The motive behind choosing her pseudonym was: in 1913 she was born when she was of 13 she first met her husband. And the number plate of the first car read “DLD 13”. In 1942 when she moved to Delhi and joined the British Information Services, her photography got recognition and was observed at National stage. Being a press photographer, she even snapped several national and political leaders up to independence. Those leaders included Jawaharlal Nehru, Mahatma Gandhi, Indira Gandhi, Muhammad Ali Jinnah and the family of Nehru and Gandhi. On 24th November 1956, she photographed 14th Dalai Lama in a traditional dress when he came to India all the way through the Nathu La Pass in Sikkim. This photograph was for Life Magazine. Farouq was her only son who taught in Pilani, Rajasthan. Homai Vyarawalla went on to live with her only son. In 19822 she returned to Vadodara (then, Baroda) with her son. In 1989 when her son passed away due to cancer, she started to live in a small apartment and dedicated her time to gardening.